The holidays are a great time to reach your customers and remind them to add your store to their holiday errand list. Even if you missed out on Black Friday and Cyber Monday, there are still ways to drive footsteps through your doors this shopping season. Promoting your products is especially important this time of year as it’s the last few shopping weeks before Christmas. Not only are you giving your customers last-minute gift ideas, but you’re moving through inventory, too. Keep your email short and sweet; feature product pictures along with a short description and the price. Segment ideas by recipient: “Gifts for Mom” or by price: “Gifts Under $30” making your email easy to navigate and memorable. Remind your customers where your store fits into their holiday agenda. Whether you’re aiming to be the go-to place for all their gifting needs, simple seasonal decorating, or prepping for the in-laws, it’s a good idea to include a seasonal spin to your digital marketing efforts. Your customers are undoubtedly going to be doing a lot of shopping over the holiday season, and they’re likely to be doing some online comparison shopping as well. By making your discounts available for your customers to explore before they come into your store, you’ll be more likely to make a larger sale at the register. If you have a digital version of your in-store deals posted on your website, create an email campaign and share it as a social marketing campaign, too, so users can find it easily and always be redirected to your website for the details. 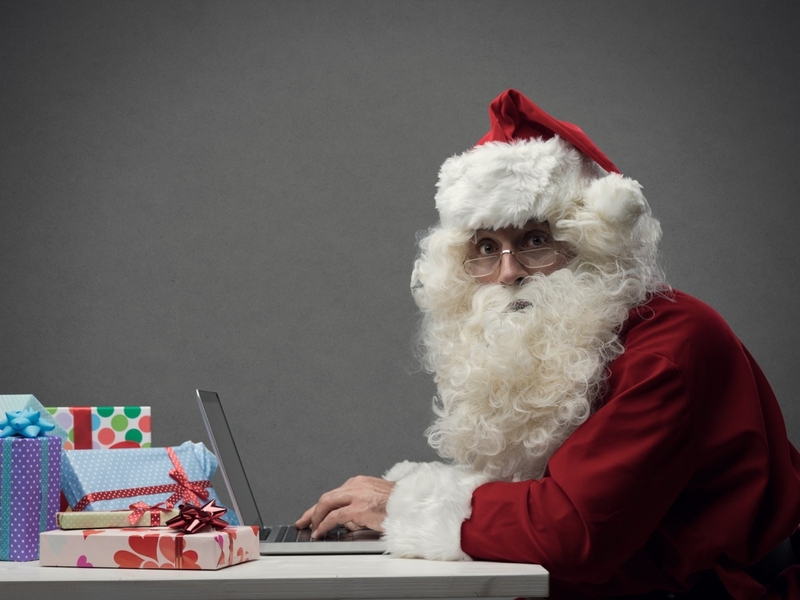 Make sure your email, website and social campaigns clearly state your holiday hours and location. Just as Black Friday, Shop Small Saturday and Cyber Monday come to a close, remember the holidays are prime shopping time and you have plenty of competition. Be sure to stay ahead of the game by ensuring your customer service outweighs your e-commerce competition and that your bargains and deals are worth the trip to your store. Sending your customers a coupon may encourage them to come into your store instead of going somewhere else to make their purchases. When selecting a coupon offer, think about something that will incentivize your customers to come into your store and encourage them to make larger purchases at the register, while also remaining cost-effective. Need ideas for how best to promote your business this holiday season? Drop us an email, and we’d be happy to help you brainstorm the best strategies for how to reach your customers this season, and every other season of the year!